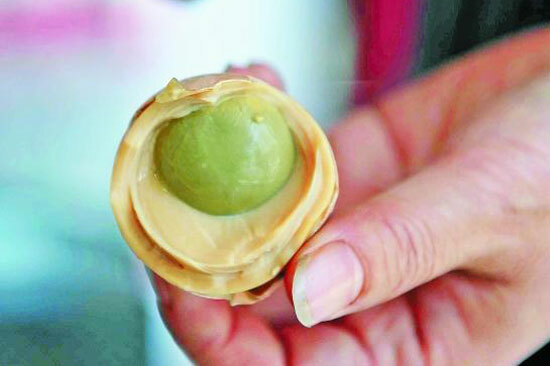 Apparently the bizarre delicacy has a pretty long history in Dongyang City. But it’s making national headlines recently as it was discovered by some folks that the street food has been listed as one of the city’s cultural heritage. 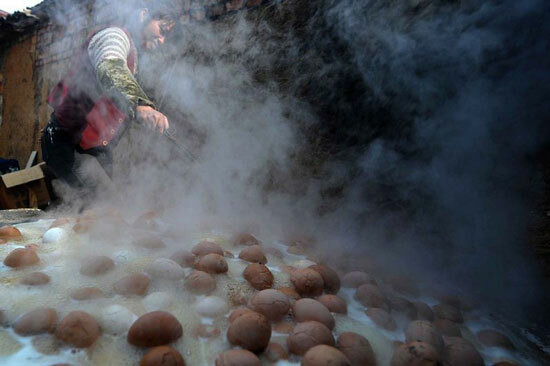 Outsiders are questioning the appropriateness of making such a smelly (locals call it the smell of spring) food an official heritage, but the eggs are said to be selling well in every street corner of Dongyang, a 1800-year-old historic city. Boy’s urine has long been mythically thought to have medical benefits in some parts of China. 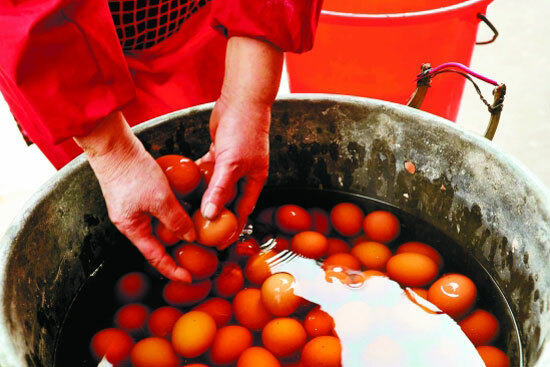 The supporters of these virgin eggs seem to buy the idea that the eggs are good for clearing spring drowsiness and summer heat. It’s actually weirder to see how they are collecting boys’ urine from local schools. I mean, what kind of school would allow that to happen? What a way to “educate” the kids. News via Shanghaidaily, images via News365 [Cn].